All Saints' Day, the first day in November, marks the first centennial of the Apostolic Constitution "Divino Afflatu", signed by Pope Saint Pius X in 1911. This remarkable document enacted, among other measures, the order of the psalter used in the recitation of the Divine Office in the Traditional, Ancient, or Extraordinary Use of the Roman Rite - the Breviarium Romanum, according to the rubrics of 1960, which may be used as the normative Office by all those in the clerical state in the Latin Church (Summorum Pontificum, Art. 9, § 3) and, naturally, by all lay faithful who wish to do so (and are, indeed, encouraged to do so - Sacrosanctum Concilium, 100). We deeply thank him for accepting our invitation to put his vast liturgical knowledge to good use once again in writing this most thorough (and also very personal) account of the impact of the admirable work put in place by Saint Pius X one hundred years ago today and that is an intimate part of the life of every traditional priest, every single day, from Matins to Compline. NOVEMBER 1, 2011 marks the centenary of Pope St. Pius X’s Apostolic Constitution Divino Afflatu, one of the three papal documents promulgated during the years 1911-1913 that introduced a dramatic reform of the Roman Breviary. The document is a milestone in liturgical history that ranks with the post-Tridentine reforms, and its anniversary should not pass unnoticed by all those who cherish the Sacred Liturgy. Writing about this topic, though, feels a bit like stepping into a minefield. The history of the Divine Office is fearfully complex, and errors can easily slip into the details of popular accounts written for general consumption. Nowadays, too, there is the controversy factor. Those who criticize or reject the official post-Vatican liturgical II reforms are divided over what liturgical norm should be followed instead: St. Pius X, Pius XII, John XXIII, “reform of the reform,” or some combination of all the foregoing — and I have waded into this battle with sword swinging more than once. It seems that just about anything one says about almost any liturgical question these days is bound to offend at least someone. Advocating the use of the St. Pius X breviary, moreover, is viewed in some quarters as a red flag for sedevacantism. But this perception is completely incorrect, because there are many sedevacantist priests in America and in Europe who do not use the St. Pius X breviary, and many non-sedevacantists who do. But on this occasion, I would like to set aside controversy as much as possible. So after a short discussion of the breviary before and after Divino Afflatu, I will offer instead what I call a “personal appreciation” of the St. Pius X reforms. Even for a life-long liturgy buff like myself, it was difficult to get a sense of what it was like to use the Roman Breviary before Divino Afflatu. When I was a seminarian at Ecône, SSPX’s original seminary in Switzerland, I came across a set of very nicely preserved breviaries printed in Turin in 1865. Trying to puzzle out the rubrics, to relate the material in the book to what I already knew of the breviary and to conceive of how one was actually supposed to recite the pre-1911 breviary seemed to be an impossibly intimidating task. Some commentaries on the breviary provided a few glimpses of what this was like. From these at least one thing was clear: it took a lot more time to recite the Divine Office before Pius X than it did afterwards. Fortunately we can now turn to a recent article that provides us with a clear and complete description of the office at the time of the reform: Paul Cavendish’s “An Introduction to the Reform of the Roman Breviary 1911–1913,” Usus Antiquior, Vol. 2 Nos. 1 (January 2011), 32–60. Mr. Cavendish’s attention to detail is exhaustive, and he offers readers thirteen tables and a summary to give them the bigger picture of the state of the Divine Office immediately before Divino Afflatu. He even provides a complete specimen of a Sunday office according to the old rubrics. Here are some characteristics of pre-1911 Roman Breviary: It contained three types of office, Sunday, festal and ferial. In the Sunday and ferial offices, two-thirds of the psalms (about 95) were recited sequentially in two series, one at Matins, the other at Vespers., over the course of the days of the week. The other Hours had either fixed invariable psalmody (at the little Hours, for instance, the same sections of Psalm 118 were recited every day, and the Compline psalms were the same every day) or semi-variable psalms that were “plugged into” a set of invariable psalms every day (at Prime and Lauds, for instance). With the exception of Psalm 118, psalms were used in their entirety and not divided for the Sunday and ferial offices. The festal office had its own psalmody (only nine psalms at Matins) that did not form part of the weekly course of psalms. If you use either the St. Pius X or the John XXIII breviary, you can readily see how reciting this form of the Divine Office took a lot of time, especially on Sundays and ferial days. For this reason, many feasts of double rank were added to the calendar over the years, because the festal offices were comparatively shorter. But while adding feasts shortened the office, it led to another problem. The festal offices were taken from the Commons, and hence they employed only a limited number of psalms. If these festal offices were recited on most days, therefore, the great majority of the psalms (which in the old breviary appeared only in the Sunday and ferial offices) would never be used during the course of a week. Consequently the recitation of the entire Book of Psalms over the course of a week, an ancient tradition in the Church, had in effect disappeared by the time of Divino Afflatu. By 1911, moreover, even the Sunday office, apart from greater Sundays such as Advent and Lent, was rarely celebrated, because it was usually trumped by a festal office for a feast of double rank. Various proposals for resolving these difficulties were discussed under Benedict XIV, Pius IX and Leo XIII. Pius X finally appointed a special commission, and it was given the job of reforming the liturgical calendar, establishing criteria for admitting new feasts, revising some of the historical and patristic readings (the latter meaning those taken from the writings of the Church Fathers), and reworking the General Rubrics. • From the beginning of the Church, the Psalms have nourished the piety of the faithful, taught men to pray, stimulated virtue, and consoled the suffering. • For this reason, the weekly recitation of the Psalter was the ancient law of the Church for her clergy, and it was maintained throughout successive revisions of the Breviary. • Observing that law properly has been rendered practically impossible because of the increase of saints’ feasts. • These have crowded out the Sunday and ferial offices, so that some psalms are never recited, and others are repeated with wearisome reiteration. • We have received petitions from bishops, especially at the Vatican Council, that this weekly recitation of the Psalter be restored without increasing the burden of the limited number of clergy. • We appointed a commission to satisfy that demand by lessening the burden placed upon clerics, without diminishing the veneration given to the saints. • This is the first step in a liturgical reform of the Breviary and Missal. • In the meantime, we have made certain rubrical changes to insure the regular reading of the Scripture lessons, and to restore to their place of honor the ancient Masses of the Sundays and especially the Lenten ferias. For a detailed examination of all the reforms Divino Afflatu implemented, as well as for a comparison of the pre-1911 breviary and the 1914 edition, we must once again recommend Mr. Cavendish and the second part of his article (Usus Antiquior Vol. 2 No. 2 [July 2011] 129–152). His comparison tables are particularly useful in providing a concise overview of the differences. Here too, Mr. Cavendish provides a specimen Sunday office, this time according to the rubrics of Divino Afflatu. This will be great help for those who have never used the Pius X Breviary or who have never taken on the (seemingly) intimidating task of figuring out how to recite Matins. In this article, however, we will content ourselves with mentioning only three of the more important reforms that Pius X introduced. A. Reciting All 150 Psalms. In order to restore the ancient ideal of reciting all the psalms every week, Divino Afflatu changed the rubrics for lower-ranking feasts of saints. 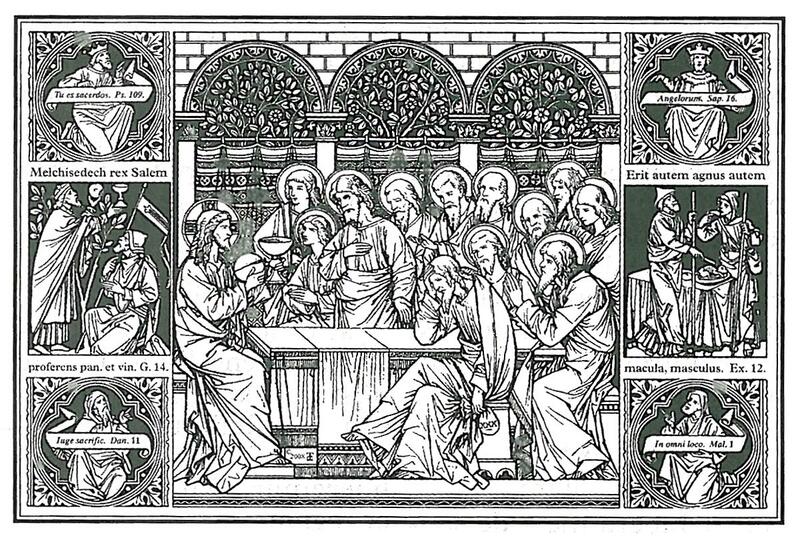 Henceforth, with few exceptions, only higher-ranking feasts (second-class doubles or greater) would use special psalms from the Propers or the Commons. Feasts below this rank would use the ferial psalms — that is, those that the breviary assigned for each ordinary day of the week from Sunday through Saturday. To further accommodate the ideal of reciting all the psalms during the week, the new rubrics also decreed that on penitential days when Psalm 50 replaced the first psalm at Lauds, the psalm displaced from Lauds would “migrate” to the office of Prime. The new rubrics did not establish the ancient ideal as an inflexible rule, however, because higher-ranking feasts still had special psalms assigned to them. While this may preclude the liturgical recitation of the entire psalter during a particular week, the whole point of a feast day is to interrupt what is normal practice (in this case, using ferial psalms and antiphons) to emphasize some particular mystery. B. Rearrangement of the Psalms. Had St. Pius X merely implemented the foregoing rule — ferial psalms are used on all but the highest-ranking feasts — he would have indeed restored the ideal of reciting all the psalms every week. Unfortunately, he would have created another problem: the Divine Office would have taken a much greater amount of time for the priest to recite. The reason is this: The arrangement of psalms in the pre-1911 breviary required one to recite virtually the same psalms every day at Lauds, Prime, Terce, Sext, None and Compline. The two-thirds that remained then had to be recited at Matins and Vespers. So the priest recited eighteen psalms at Matins on an ordinary (“green”) Sunday, and twelve psalms at Matins on the other days of the week. And some of these psalms are very long indeed. Psalm 77, prescribed for Thursday Matins, for instance, runs to 72 verses — pack a lunch. Divino Afflatu therefore instituted a completely new arrangement (cursus) for the psalms. The longer psalms were divided into sections of more or less equal length, and parceled out to all the hours of the Office throughout the week. Some felt that to jettison the pre-1911 cursus of the Sunday and ferial psalms was to break with an ancient Roman liturgical tradition. But due to the multiplication of feasts that excluded its use, this tradition had long been abandoned in practice anyway, . And as it stood, moreover, the pre-1911 disposition of the psalms likewise departed from the most ancient Roman liturgical practices. In 5th-6th century Rome, for instance, Sunday Matins had twenty-four psalms, and Psalm 50 was used only at Sunday Lauds in penitential seasons. Around the year 600, St. Gregory the Great changed this arrangement. He reduced Sunday Matins to eighteen psalms, moved five of those psalms (21-25) to Sunday Prime, moved one of them (26) to Monday Matins, moved the last psalm of Monday Matins (38) to Tuesday Matins, dropped Psalm 50 from Tuesday Matins, and relocated the psalm to the beginning of Lauds on weekdays, where it replaced Psalm 92. (See the charts in Carlo Braga, ed., La Riforma Liturgica di Pio XII: Documenti: I. La “Memoria sulla Riforma Liturgica, 1948 [Rome: Edizioni Liturgiche 2003] pp. 180-2). In 1568, St. Pius V further altered St. Gregory’s cursus by removing Psalms 21-25 from Sunday Prime, and assigning one each to Prime on Mondays through Friday. So there was indeed a good precedent for popes modifying the disposition of the psalms in the Divine Office. Two pope-saints had already done it before St. Pius X. How were psalms assigned their places in the new cursus established by Divino Afflatu? • Psalms that spoke of light, the morning or praise were assigned to Lauds, which would henceforth have four variable psalms each day, instead of only one variable psalm and seven invariable psalms. • Psalms 1-108 were parceled out in numerical order to Matins, Prime, Terce, Sext and None throughout the days of the week. Psalms 21-25 which St. Pius V had moved to Prime for Mondays through Saturday, however, retained the positions he had assigned them. 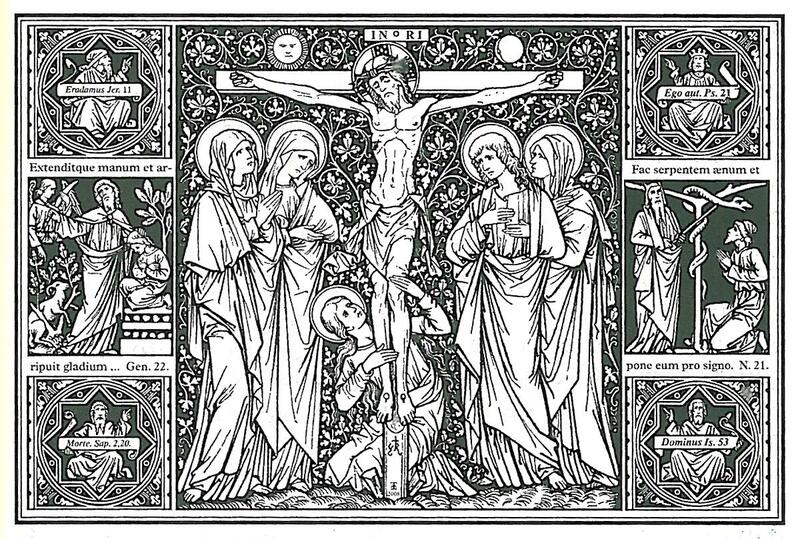 • Psalms 109–144 were distributed in numerical order to Vespers throughout the days of the week.. Matins henceforth would have only nine psalms or sections of psalms, and Vespers would have five, as before. Thus Divino Afflatu restored the ancient ideal without creating an additional burden for the clergy, and at the same time, introduced variety into the psalms for Lauds, Prime, Terce, Sext, None and Compline. C. Balance between Feast and Season. This is most noticeable in the changes Divino Afflatu introduced into the rubrics for Matins. In the pre-1911 breviary, the Scripture readings for the First Nocturn (section) of Matins for many festal offices were taken from the Commons of Saints. 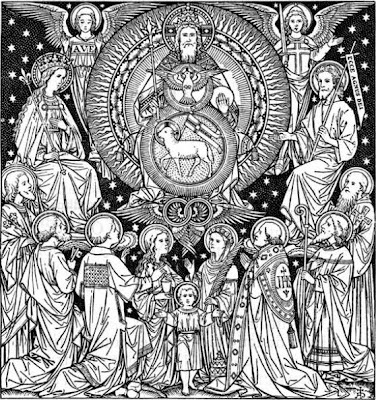 On such days, the magnificent Scripture readings and responsories prescribed for that day according to the liturgical season (Advent, Lent, time after Pentecost) would disappear. Divino Afflatu resolved the problem by decreeing that on lower-ranking feasts the scripture readings and responsories corresponding to the liturgical seasons had to be used as readings for the First Nocturn. The readings for the feast day (the life of a saint, for instance) would continue to be read for the Second Nocturn, and as would the prescribed patristic commentary on the day’s Gospel for the Third Nocturn. Likewise on lower-ranking feasts, the ferial psalms, together with seasonal antiphons and versicles were to be used. Thus two ends were accommodated and a balance achieved between the spirit of the liturgical season and the veneration due the saints. During the course of my life, I have used various forms of the Divine Office. Naturally enough, this led me to compare the characteristics of the different systems, a process that would greatly affect how I came to regard the Breviary of St. Pius X. As a student in a pre-Vatican II Catholic grade school, and then as an altar boy, you became familiar with the notion of Father praying his “breviary,” a task that the priest accomplished either walking around outside during good weather or at a kneeler in the sacristy before or after Mass. What this form of prayer consisted in was rather mysterious, but in eighth grade I came across simplified versions of Prime and Compline in a new Missal that I received as a gift once I announced that I wanted to go to the minor seminary. These I used as morning and night prayer for several years. The Vatican II changes hit with full force when I was in the minor seminary (1965-1969). By the end of that period, one rarely saw a breviary, and then only in the hands of some very old priest. It was the new springtime, and to celebrate it, all the old books were being thrown into the garbage. A. Prayer of Christians. While I was in the seminary college (1969–1973), the reformed post-Vatican II breviary appeared in Latin as the four-volume Liturgia Horarum (Liturgy of the Hours). By that time, no one prayed in Latin anymore, so while the new breviary was being translated, the U.S. bishops authorized using Prayer of Christians, a shortened form of the Liturgia Horarum compressed into one volume. This I used during my seminary college years. Having known nothing else, I appreciated the variety in the prayers that followed the liturgical year, but I found a number of its features annoying. Instead of translating the Latin hymns, for instance, the editors had substituted congregational hymns used in the newly reformed liturgy, so at Vespers one would encounter the 1970s equivalents of “On Eagle’s Wings.” And why call a breviary Prayer of Christians? Were the U.S. bishops hoping to snare customers from the Southern Baptist Convention? Even though Prayer of Christians was the “renewed” breviary, one still could not be seen carrying it around at the seminary. Too “old Church.” The ideal candidates for the priesthood in those days engaged in spontaneous group prayer, or better yet, prayed in tongues (other than Latin, of course). B. The Monastic Breviary. During the same years, I and a number of other more conservative seminarians began spending time at a Cistercian monastery in our diocese. Though the monks used the Novus Ordo, all their liturgical services were still in Latin and sung with chant. After college I entered the Cistercians, and it was here that I became very familiar with the monastic office (the Cistercians followed the Rule of St. Benedict). Though the liturgical calendar had been somewhat reduced after Vatican II, our monastic office still retained its traditional shape. Following the precept St. Benedict laid down, the whole psalter was chanted each week. Sundays and major feasts all had both Scripture and patristic readings. The experience of chanting all the canonical hours every day for two years gave me a sense of what the ideal should be for the Divine Office. In comparison, the Prayer of Christians I had hitherto been using looked very thin indeed. On the down side, The Liturgy of the Hours prescribed only five canonical hours for each day (instead of the traditional eight). The psalms were sliced up into tiny bits and recited over four weeks, instead of the traditional one week. And in the best post-Vatican II style of a deregulated liturgy that destroys any sense of universal prayer, Liturgy of the Hours offers options, options and more options. Why, for instance, offer alternatives to the traditional Psalm 94 as the invitatory? Why make preces optional on some days? Why allow the person leading the office to cook up his own “brief admonition” before the Our Father? Examples could be multiplied. Why not just rename the book Liturgy of the Options? E. The John XXIII Breviary. In 1975 I left the Cistercians for Archbishop’s Lefebvre’s seminary in Ecône, Switzerland. Here I encountered the John XXIII breviary, which we used at the common recitation of Prime, Sext, Compline, and on Sundays and feast days, Vespers. Naturally, I compared it to what I had known before. Though in the John XXIII breviary all the psalms were recited during the course of an ordinary week, on penitential days when Lauds II was used (Advent, Septuagesima, Lent and vigils), the first psalm (which Psalm 50 replaced) was simply omitted, instead of being relocated to Prime. The readings at Matins were drastically reduced. Only one short patristic reading remained on Sundays, where formerly there were six. For the saints’ feasts, biographical readings were cut by two-thirds, the ferial office trumped saints’ feasts during Lent, and the patristic commentaries on Gospels for the feast of saints were simply omitted. So, while the John XXIII breviary was better than The Liturgy of the Hours when it came to reciting the entire psalter in a week, it virtually abolished patristic readings and substantially diminished the liturgical cultus for the saints. The Pius X Breviary (as we called it) seemed to strike the right liturgical balance in terms of what I had learned about the Divine Office during my seminary life thus far: the ancient ideal of reciting the entire psalter during the course of a week is generally maintained; patristic readings regularly appear in Matins; the cultus of the saints is a prominent feature of the office; and the form of the office overall strikes a nice balance between the liturgical seasons and the feasts of the saints. There were other admirable features as well, too many, alas, to explore in a short article like this. So, since I hoped to devote my priestly apostolate to promoting the integrity of traditional Catholic doctrine and worship, it was this breviary that I decided to use as a priest. USING THE St. Pius X breviary initially presented some real practical problems. First, where do you get one? In America, it has always been difficult to obtain editions with Vulgate psalter (the version of the psalms found in the liturgical chant books) rather than the newer Pius XII Latin psalter. Divino Afflatu did not compel the Congregation of Rites to issue a new set of rubrics which would consolidate the changes into one document. So in the front of the breviary, you are confronted with two sets of rubrics, the second of which tells you essentially “Do everything the first set says, except this.” This problem can be solved by referring to Hausman’s Learning the Breviary or Murphy’s Practical Method of Reading the Breviary, both of which I am told, are available online. Another difficulty was finding an English version of the St. Pius X Breviary to recommend to laymen who were interested in praying the Divine Office. There were two editions, 1936 and 1956 (the latter with the Pius XII psalms), both of which were nearly impossible to obtain. Naturally, I recommend the use of the St. Pius X breviary to all readers. Even if you think you might not be able to use it permanently, I suggest you try it at least for a little while this November as a way of commemorating St. Pius X’s Divino Afflatu. Thanks to the wonders of technology, doing so is now astoundingly simple. All you need do it go to http://www.divinumofficium.com/select either the PC or cellphone option, select “Divino Afflatu” and choose the hour of the office you wish to pray. The site, which was the work of the remarkable Lazlo Kiss, will give you the whole Divine Office, with each part in sequential order, with Latin on one side and English (or Hungarian!) on the other. A French version is in the works. I recommend that you “sample” Matins for the liturgical days in November which reflect some of the more distinctive characteristics of the St. Pius X breviary as compared to, say, the John XXIII breviary. 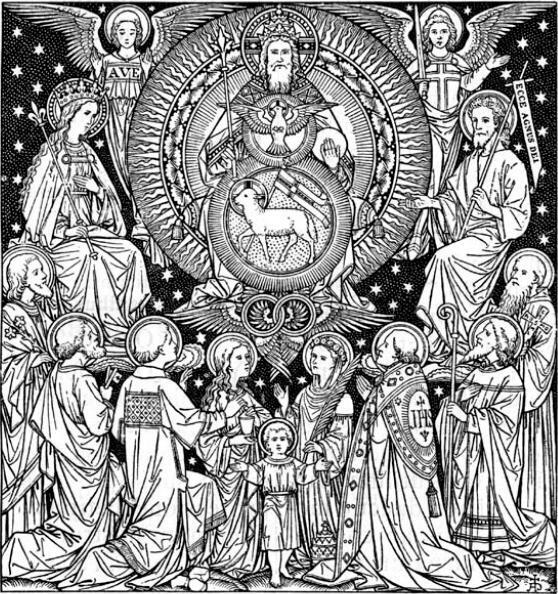 Matins on days during the Octave of All Saints, for instance, will illustrate the balance St. Pius X achieved between the season, the ferial psalms, the saints whose feasts happen to occur within the Octave, and the Feast of All Saints itself. A blessed centenary of Divino Afflatu to all! A wonderful presentation and explanation of the breviary. Thank you Father Cekada and thank you Rorate. For those of us not familiar with the Breviary this is indeed a source to learn a few things. It was informative and interesting. Could this be called organice, hmmm seems like it was. Thank you Father and Rorate for posting this. I will consider this my read of the day and something to dig deeper into in the days ahead. Yes, thank you, Father Cekada, for this article, and thank you, NC and Rorate, for posting it. It appears that St. Pius X's revision of the breviary was more beneficial and less a rupture than some would have it. As always, very interesting and enlightening! Thank you Father Cekada for this wonderful memoir on the Divine Office. This will go a long way towards the restoration of Catholic tradition. Also thanks to Rorate for asking one of your long time posters to write this fascinating article. I watched the YouTube video and was glad to see how one of us looks like. 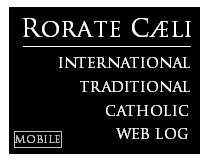 Hopefully having it linked in Rorate Caeli will bring the Divine office to the attention of many. These intellectual writings are a very effective way to propagate the Faith. We may be few, but are gratly feared for good reasons. As a simple layman, I was wondering whether Father or NC would have recommendations for a couple of Psalms to recite when waking up or completing our day. Regular prayers are important and Psalms in Latin would be an enrichment for many of us. What did the peasants pray in Millet's paintings? In those paintings? The Angelus, I would guess. I would not venture to suggest much, but you could begin with Prime, whose prayers are invariable and are specifically linked to the beginning of the day - and only has three psalms. You may find Prime for each day on divinumofficium.com , using the options English (for the bilingual text) and Rubrics 1960, the ones in place for the Rite. The Little Office of the B.V.M. could be a nice improvement in the future. A happy All Hallows' Day to you! "Some felt that to jettison the pre-1911 cursus of the Sunday and ferial psalms was to break with an ancient Roman liturgical tradition. But due to the multiplication of feasts that excluded its use, this tradition had long been abandoned in practice anyway"
Indeed. One thinks, for instance, of the Votive Offices of 1883 (six Offices, one for each weekday) that Pope Leo XIII allowed to be used on most days of the year, de facto turning the Roman Office into a mere option for most weekdays between 1883 and 1911. The Votive Offices couldn't be used only on the eight days before Christmas, the two weeks before Easter and Sundays. Thank you for a most interesting article, which makes a number of valuable points about the liturgical reforms of Pope St. Pius X, which those of us who use the official BR 1961 are still grateful for. The anniversary of Divino Afflatu is for ALL of us who use BR, whether those obliged to it by way of sacred orders, or those good men and women, religious and laity, who use it. I have reservations about some of the comments on the breviary of Blessed Pope John XXIII, but I agree that the shortening of the patristic readings was unfortunate. I follow 'Good Pope John's' advice by reading the Church Fathers everyday (see Rubricarum Instructum), from the previous edition of the breviary. 'Lectio divina' is an important accompaniment to the divine office. But BR 1961 also made many good improvements, especially in the rubrics. I would also like to thank Fr. Cekada for his non-polemic approach, much appreciated. A happy and a blessed feast day to you all, and many thanks to Rorate Coeli for marking the anniversary of Divino Afflatu. Very interesting account of the personal experience of Fr. Cekada although the breviary reform itself has been commented by other authors, too. I very appreciate the link to the paper by P. Cavendish. Too bad, Fr. Cekada does not comment on the change of the antiphons for Sundays and ferias. Although the desired prominence of the weekly Psalter could have been achieved in other, less intrusive, ways (there are several proposals on the internet), the rewriting texts of the antiphons seems the least justified of the changes. It actually is counterproductive to the revival of gregorian chant desired by the same St. Pius X. Before 1911, most of those antiphons were the same in both curial and monastic versions of the Office. The new texts of 1911 Breviary are as a rule longer and the melodies (composed by Solesmes?) more complicated and more difficult to learn. Not even Sunday Vespers were left untouched. Now a secular priest occasionally in a monastic choir would be as lost as an occasional monk in a parish Vespers. Why was this done? I would be interested to know of Fr. Cekada's opinion of Lazlo Dobszay's critique of and suggestions for reform of the Brev. Rom. ; a reply here would be fine, but a more in depth post would be better. Dear N.C. It was a great idea to approach Fr Cekada with this request and Fr. Cekada certainly did not disappoint. I was subignorant about The Breviary and so I learned a lot but what I most appreciated were the rhetorical gems he bedecked his commentary with. Dear Father Cekada. You have a wonderful sense of humor and your sly references to the wonders of Vatican Two are greatly appreciated by me. The only real reason that Anthony Cekada writes anything is to ultimately try to take Catholics away from the Church. Make no mistake about it. This is his only motive, no matter how good his writing may seem. Would Father Cekada be able to comment on and compare his use of the traditional Monastic Breviary vs. the P10 one (and, if possible, the traditional Roman one)? This would make for a most interesting comparison. Perhaps. We in Rorate have not yet developed that technology of reading people's hearts and deepest intentions, though. I've been following this discussion with much interest. As a liturgical buff going back into my childhood, I loved the references made by Fr. Cekada about seeing priests pray their Breviary and being in that "atmosphere" as an altar-boy. Certainly, my own love and thirst for knowledge of liturgical minutiae were incubated much the same way. As a married layman with four children, I have prayed three different versions of the Roman Office over the years. Sometimes, I would even mix and match rubrics. Without going into too much detail, I would say that I tried using the pre-1911 Psalter with the provision to use the Ferial Psalms on most feasts, and while this retained the harmony of the old Psalter, I was spending nearly 45 minutes pray Matins each day which was a tall order even for someone who is accustomed to rising at monastic hours to fit in Matins each morning before the kids wake up. At some point, besides the prudent balance of time in my duty of state, I had to recall that I was well nourished as a teenager by the 1962 Breviary, having prayed it in common with the priests of the SSPX on numerous occasions. So, it is to that version of the BR with its 15-20 minutes for Matins that I have returned, and I have been well served by it. Fr. Cekada failed to mention that while Matins was indeed impoverished in 1960, the shorter form in the 1961 BR is aptly suited for laymen who want to do something more meaty than the Little Office of the BVM but don't have the time to do the 1954 BR much less the pre-1911 Psalter. "So, since I hoped to devote my priestly apostolate to promoting the integrity of traditional Catholic doctrine and worship, it was this breviary that I decided to use as a priest." Gives his life for each bevy. Is it the position of the moderators of this website that sede-vacantism is compatible with the Catholic faith? Does Fr Cekada and anyone else know much about - and have an opinion of the small/short breviaries and office books produced in the the 1930-1960s in English, both for lay brothers and oblates ? (I think of the Short Breviary,produced by Collegeville and going into many different editions)There is a website Short Breviaries. I would also vlaue his comments about the Monastic Office (pre-1961) which is similar to the pre-Pius X Breviary. I think that - despite Enoch's comments - that we are surely mature enough to see that Fr Cekada is able to write well and interestingly on many subjects that do not bear of the sede question and we can learn a lot from him. If you were Enoch the Prophet I might consider seriously your post, but since you're not, I'll still consider it – consider it silly! It is very interesting to see the wide range of proposals, likes, dislikes and suggestions about the Divine Office that showed up here in a mere 17 posts. I can only imagine what St. Pius X's liturgical commission went through. I greatly appreciate your thoughtful comments, and regret that I cannot respond to them all here, even briefly — mainly because it is late and I am too tired after participating in the double Vespers (All Saints and the Dead) prescribed, of course, by Divino Afflatu! I hope you will understand. You will, though, be in my prayers at Mass. Jack, as has been stated here many times, it is the position of the moderators of this website that sedevacantism is compatible with the Catholic faith only during a papal interregnum. We thank you for your concern, but no one needs to inform us who Father Cekada is and what he believes. 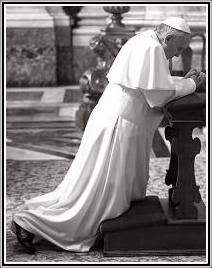 He knows we think he is seriously mistaken to believe the Holy See is vacant, and he respects that we do not make Rorate Caeli available to him as a platform to promulgate his views on that subject. Since he is willing to refrain from advocating in favor of sedevacantism here, we expect all of our visitors to respect him and us enough not to divert the discussion here away from St. Pius X's reform of the Breviary and onto a subject regarding which Father Cekada is unable at this weblog to offer counterarguments and defenses. This is what makes Rorate unique. Fr. Cekada is published in spite of the fact that he is part of a movement (sedevacantism) with which Rorate is not in agreement. Other traditional websites have a kind of quasi membership requirement - you have to agree with them on certain basics or you will not be published. In Rorate’s case they want to disseminate in this case accurate information so they access the best source for it. This is Catholic. I also appreciate Fr. Cekada’s restraint and as other writers have said, his non-polemical approach. I am strongly opposed to sede-vacantism but strongly in favor of scholarship. On that basis I welcome Fr. Cekada’s contribution. This was a wonderful post, and I enjoyed your constructive criticism. I am happy to see a point I have reiterated over and over -- that the 1960's office of Matins is grievously mutilated . . . the problem with the readings in the John XXIII breviary is that, in all too many cases, the "punchline", that is, the explanation the Patristic reading is trying to make in explaining that particular Sunday's gospel has been removed. Today and yesterday I used the 1950 Roman Breviary in English by Benziger. Yes, it has the Pian psalter, but it has the full text of the readings. If reprinting the four volume 1950 Benziger set, or 1936 Stanbrook Abbey (vulgate psalter) is too prohibitive, perhaps a traditionalist publisher would be willing to republish the one volume Liturgical Readings of St. Meinrad's Abbey from 1953. All the traditional readings are here, but I am not sure about the Assumption. Thank you again and happy All Souls day! New Catholic's suggestions are good. I recommend starting small, and growing, over time, from there. I have been praying some from of the divine office since June of 1986. The Little Office of Our Lady is simple and easy to start with, and is available from Baronius Press or Bonaventure Press. However, the most user friendly breviary you will find is A Short Breviary from St. John's Abbey, 3rd Edition, 1962. Almost all the prayers are there, with no confusing abbreviations. So , if you read Prime, you can read it through, and do not have to flip back and forth. You can find this book on E-bay or through Abe Books. The Short Breviary will lay the foundation so that you can easily adapt to any fuller form of the Breviary. You will also find praying the psalms "addictive" . . . they will open up such powerful spiritual riches to you. May God bless and prosper your interest in the breviary! I often say the Little Office of the Blessed Virgin Mary using the Baronius "Blue Book". There is a confusing rubric for Matins on page 2 of that book that I've asked about in other forums with no response. Perhaps someone here could help me with it. About halfway down page 2 is the rubric: "In the time of Easter, Alleluia is not added at the end of the Invitatory, Antiphon, Versicles and Responsories." Is that "not" a typo? I.e. is the rubric really trying to say that Alleluia should be added during Easter. Or does it mean what it says - implying that Alleluia should be added at all times except Easter. And if this is the case, why on earth would the Alleluia be surpressed during Easter? Like you I also pray the LOBVM from Baronius. Whenever I find typos or errors I ask Baronius and they respond back in kind with what they meant. On your point I believe you are correct but would ask Baronius or a trad priestto be sure. No. The Officium Parvum in Paschaltide differs by having Regina caeli as the antiphon at the Benedictus, Magnificat and Nunc dimittis. The rubric following says Alleluia is NOT added to other antiphons, invitatory, verses and responds. Thank you for your article. I have been using divinum officium and breviary.net for over a year now. They both utilize divino afflatu. I,too, pray that it will come out in printed form--Latin/Enlish, that is--some day soon. What a treasure and how valuable to souls it would be! I would think it could be done on a pay up front/on demand basis. Until then, the internet it is.